When I was in my early teens, my parents became very interested in bird watching, which lead to bird feeding. 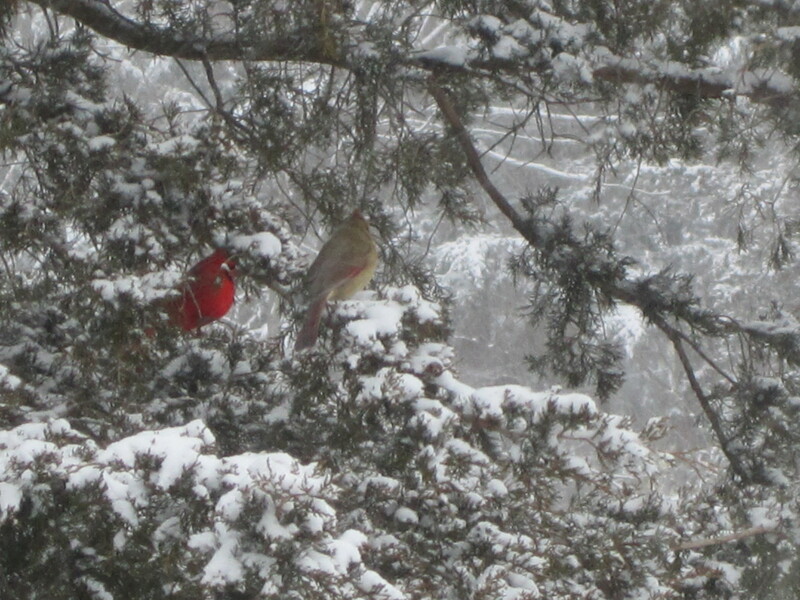 They set up a feeder and got a Roger Tory Peterson Field Guide on birds and started identifying all that came to feed. I gradually became interested my self (I had always been a nature lover at heart) and started observing the birds, too. Well this never stopped and when my husband and I finally got our own home, we set up a bird feeder as soon as we could. I now have 4 feeders: 2 hanging tube feeders, 1 tube feeder that is on a pole in the ground near our stream and a miniature barn that my husband built for the ground feeders (this would be doves, blue jays, cardinals). I also feed the birds in the spring and summer (I only keep one feeder up for this) so I can watch the babies. In the early spring, I put up 2 Hummingbird feeders on our deck. By then they are starting to travel back up north to their breeding grounds. By July, the babies are out and about and entertain us for the next month or so, with their acrobatics. A joy to watch. 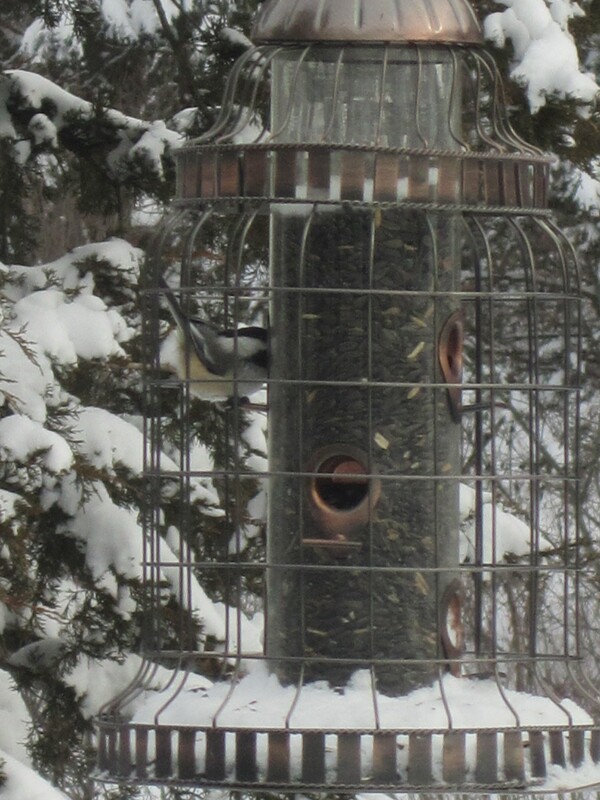 I usually put up suet cakes as well for the woodpeckers and flickers and decided to try making my own. It has worked out very well and the birds seems to really enjoy it. 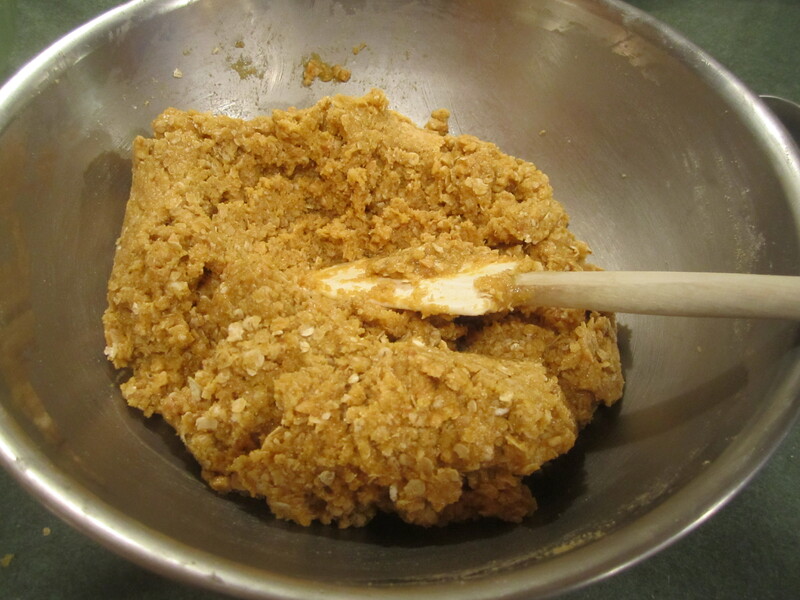 Below is a recipe for a homemade suet from Martha Sargent. The ingredients are readily available and it’s easy to put together a few cakes. They are meant for the winter only. 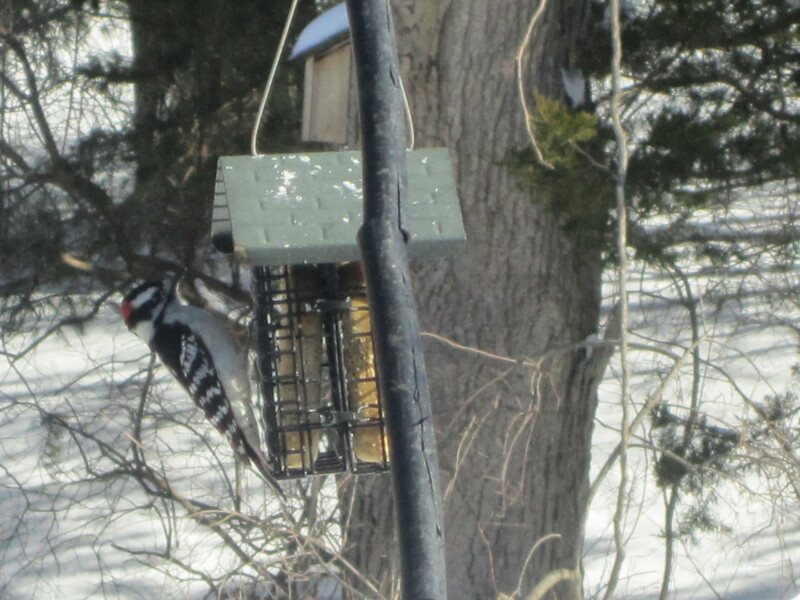 The lard becomes rancid in hot weather, so by the end of March, early April, no more suet. Recently, I have become aware that our neighbors’ cats have taken notice of the birds as well and I have caught them stalking. So I looked up stuff on cats and songbirds and found this article: “A new peer-reviewed study published today and authored by scientists from two of the world’s leading science and wildlife organizations – the Smithsonian Conservation Biology Institute and the U.S. Fish and Wildlife Service (FWS) – has found that bird and mammal mortality caused by outdoor cats is much higher than has been widely reported, with annual bird mortality now estimated to be 1.4 to 3.7 billion and mammal mortality likely 6.9 – 20.7 billion individuals.”, American Bird Conservancy. Wow, I never knew how destructive cats could be. I guess it’s something to think about when you let your cat out……. If you are interested in learning more about how to attract birds to your yard, here is a link National Bird Feeding Society to get you started. 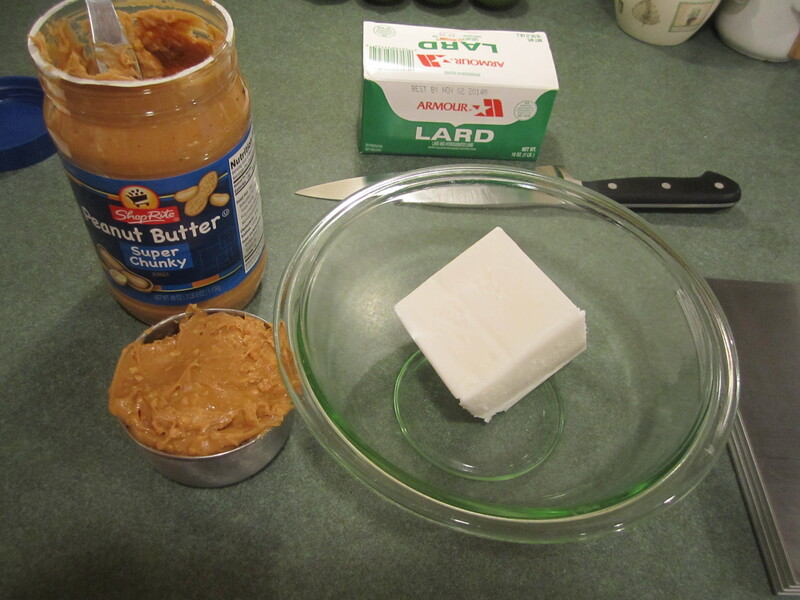 Melt the lard and peanut butter in a large glass bowl in the microwave for 1 minute. Remove and stir. If not completely melted, continue to microwave at 30 second intervals. 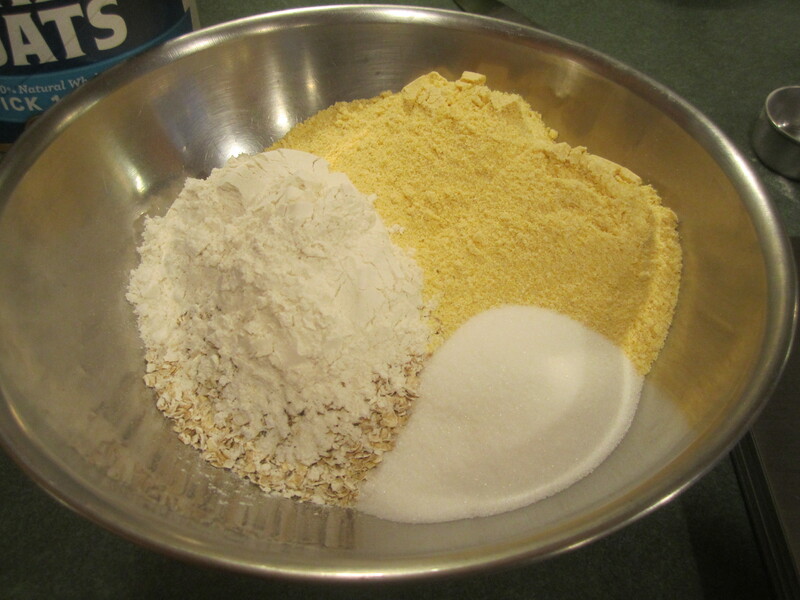 Pour lard/peanut butter mixture into remaining ingredients and stir to combine. 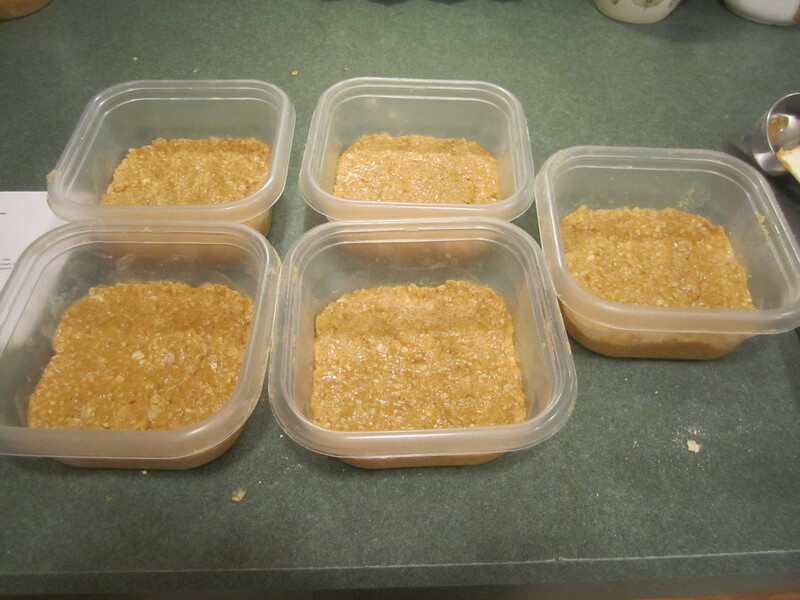 Put mixture into square plastic containers about 1/2 inch think to fit your suet basket. Store in freezer or refrigerator until ready to use. This made 5 cakes for me. love the pics of the birds!! so cute. i have heard how murderous cats can be. iv’e read an article about it as well…i will have to find it for you. Thank you! Yes, I would like to read the article, I didn’t realize how bad the cat situation was either until I started to research.